Dutch defence minister Jeanine Hennis resigned on Tuesday night at the end of a stormy debate on a report into the death of two soldiers with the peacekeeping mission in Mali. 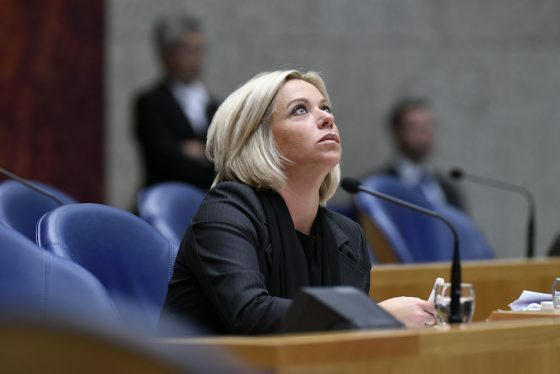 Hennis, who came under fire from across the political spectrum, said she had no option but to resign for the ‘clumsy’ way she had dealt with the report which blamed failures in the military’s safety and medical procedures for the deaths. The report, published last Thursday, said ‘serious deficiencies’ in military procedures for an accident on 6th July 2016, when a 60mm mortar set off a grenade during a practice session. It said procedures were not properly followed in purchasing the weapons, initially for a mission in Afghanistan in 2006. They were not kept cool enough in transportation and storage, and medical care at a local hospital was inadequate. Dutch armed forces chief Tom Middendorp has also resigned. In a five-page letter to Dutch soldiers, he spoke of his last visit to the relatives of the two men who died an Mali, and praised the armed forces for their work around the globe. Almost 300 Dutch soldiers have remained in Mali in 2017 on a UN mission to guard the fragile peace. Prime minister Mark Rutte said after the resignation that he valued Hennis as a colleague. ‘I have seen how much passion she puts into her work for our armed forces with my own eyes during missions,’ he said. It is unclear as yet what the resignation means for Hennis’ future. She had been tipped for a role in the new cabinet. Junior justice minister Klaas Dijkhoff is taking over at the defence ministry helm until a new government is finalised.